Wealthy George Parkman vanished into thin air one day. Then a janitor started snooping around a Harvard lab and made a grisly discovery. A 19th-century depiction of the murder of Dr. George Parkman by Professor John White Webster at Harvard University’s Massachusetts Medical College in Boston. THE CHEMISTRY PROFESSOR seemed animated, his gaze scrutinizing the ground in front of Harvard University’s Massachusetts Medical College, as if seeking the doctor’s footprints. Like seemingly everyone else in Boston’s West End, he had one question foremost in his mind: Where was Dr. George Parkman? 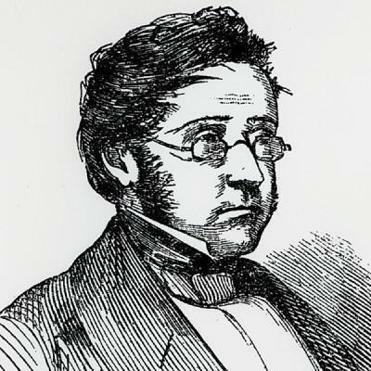 The wealthy medical college alumnus had disappeared while making his rent-collection rounds on November 23, 1849, though whether he’d met with robbery and foul play, or was wandering dazed with what his family delicately described as “some sudden aberration of mind,” no one was sure. Indeed he had — as the college’s live-in janitor, not much went on without Ephraim Littlefield’s seeing it. Parkman’s rapid walk and his curious bearing — prominent chin high up in the air — were recognizable even at a distance. Everyone had now heard that there had been a mysterious morning caller to Parkman’s house and that the local foundrymen had seen the now-missing doctor marching toward the medical school — a school built on the very land he’d donated to Harvard. Parkman’s family was offering a staggering $3,000 reward for finding him alive, or $1,000 for his body; sightings had placed him at sea and as far away as Manhattan. “Where did you see him?” the professor asked. “About this spot.” Littlefield indicated where they were standing. And in a moment, one of the great puzzles in Parkman’s disappearance became clear: the identity of the mysterious morning caller and, hence, Parkman’s final appointment with a “gentleman unknown” that afternoon. It was all an ordinary enough transaction, Webster explained. Like seemingly half of the West End, he had a payment to make to Parkman, his fellow Harvard alumnus — in his case, a loan for $483. “I counted the money down to him, on my lecture room table. He grabbed the money up, as fast as he could, and ran up two steps at a time.” As ever, Parkman had moved with impatience — even, apparently, into his own disappearance. Littlefield dressed, shuffled out into the hallway between his apartment and the academic rooms, and turned the knob on the lab door. It wouldn’t budge. This was vexing for the janitor. The doctor had taken to locking his doors, and while theft was always a concern, it made cleaning and maintaining the college rooms a nuisance. The door wouldn’t open, and Littlefield could hear the doctor inside. What was Webster doing that made him oblivious to knocks and the rattling of the doorknob? Quietly, Littlefield bent down and placed his eye at the keyhole. Still nothing: the lowered latch inside the door covered the keyhole. A disappointment, but one for which no janitor worth his salt would be unprepared. Littlefield had a trusty utility knife, and the door possessed a thin section of partitioning that could be pried up by the workings of a blade. He maneuvered the knife noiselessly at first, pausing periodically to listen to Webster at work within the lab. And then a small sliver of the wood detached with a loud crack. The movements inside the lab stopped. Littlefield froze in place; he had been heard. He slid away from the door and back into the kitchen. But later that day, he crept up to the entrance, and this time he softly lay down on the cold brick floor, in the grit and dust his broom had missed. A glimmer of light shone out from under the door, and the janitor silently moved his head closer to peek through the gap. Only the professor’s legs were visible, sometimes drawing near to the door, sometimes farther away, sometimes nearer again. The legs stopped in their movements, and then a scraping and dragging sound tore through the air. A pause, then another scrape. Then another: Littlefield could see Webster’s hand dragging a coal bucket used to feed the laboratory furnace. A hand and a sleeve reached down again and brought the bucket to rest near the assay furnace, by the lab’s privy. The doctor now lingered in that corner of the room; the motions of his hands were hidden from sight. Parkman’s disappearance continued to cast a strange unease in the medical college building over Thanksgiving. The Littlefields’ turkey sat uneaten, and Ephraim Littlefield couldn’t shake off his sense that something was wrong. What if Parkman had never left this building at all? That morning, the janitor pulled his wife aside to the bedroom, away from the children, to whisper his suspicion. Just as much as I am standing here, he’d confided, that doctor’s involved in Parkman’s disappearance. Parkman was a sharp-edged creditor with an unforgiving streak, and Webster was a spendthrift: an ominous combination. 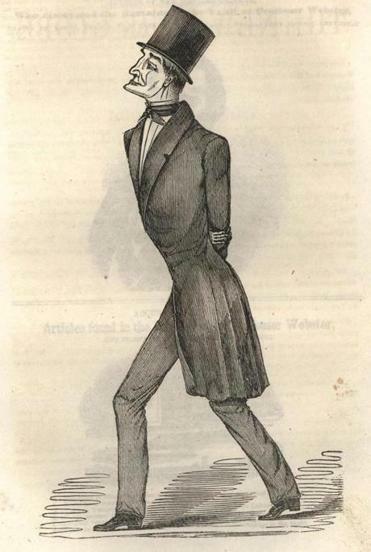 Littlefield marched with his wife down the hallway and over to Webster’s lab door. The various deliveries of the week were simply piling up outside. Littlefield turned the doorknob, then tugged on the locked door. True, police had searched the lab twice. But Littlefield knew one spot they’d surely missed. To get to it, he’d have to chisel in through bricks in the sub-basement. It was probably safe to try — why would the professor come in on a holiday? But if Webster did, it would be very hard for the janitor to explain what he was about to do. It wasn’t just that he was breaking into the professional premises of Dr. John White Webster, presently of Cambridge, esteemed member of the Geological Society of London and Erving Professor of Chemistry and Mineralogy at Harvard. It was that this time he was breaking into a very specific part of the doctor’s premises. Littlefield was going to smash into the bottom of Webster’s toilet. POLICE ARRIVED AT THE MEDICAL COLLEGE and crowded into Littlefield’s modest apartment, and along with the janitor they filed down the hallway to the hatch in the floor. One by one, they descended through the trapdoor and into the crawl space. As the slope of the dirt made the roof low to their heads, they crouched down to reach the hole. A steady stream was falling inside; water had been left running into the privy. Follow the water down in the beam of light, to where it spattered the bottom of the foul brick enclosure: there. In the light glistened what might appear, perhaps, to be heaped cuts of discarded butcher’s meat. It was not so easy, at first glance, to discern what variety of creature they had been sliced from. The marshal turned to Dr. Henry Jacob Bigelow, a young Harvard professor. Is this, the marshal inquired, was this, a human? It is, Bigelow agreed. It was. And was Harvard’s medical school, the marshal politely asked the janitor, generally in the habit of storing bodies in the toilet? It was about 7 that evening when the carriage pulled up just short of Webster’s house in Cambridge. Officer Derastus Clapp walked up to the house alone. The doctor recognized the old officer immediately. “How do you do, Mr. Clapp?” he asked amiably. We’re searching the college again, the officer explained apologetically. Could you come assist us for a moment? It was a terrible inconvenience, of course, but it had now been a week to the day since the disappearance of Webster’s fellow alumnus; there was some due diligence to show to Parkman’s family before winding things down. Webster, of course, was only too glad to help; the family, he remarked, must be in great pain. Their carriage rumbled and crackled over the Craigie Bridge. Webster settled in as they drove onward from the bridge and down Leverett Street, and he watched as they clip-clopped straight past the turnoff. “You ought to have turned that corner, if you are going to the college,” the professor said. “The driver is probably green,” Clapp remarked — they’d have to take the long way, maybe down Leverett until Cambridge Street and then back around again, but they’d get to the college in a few minutes. Perhaps it was all for the best. Just a few blocks farther down Leverett was a building where the officers needed to stop off for a moment anyway — did Dr. Webster mind? The carriage halted, and Clapp hopped down into the street. “Gentlemen?” he said, summoning his colleagues, and he indicated to Webster that he might as well come along, too. The group strode toward the back of a looming brick building. “Gentlemen, suppose we walk into the inner office?” Officer Clapp ushered the group forward. Webster followed them through the doorway; once inside, he stopped in astonishment. The door was shut soundly behind him. They were inside the Leverett Street Jail. In a moment, his pleasant demeanor had vanished. SHIVERING IN THE COLD at the back entrance of the medical college, the officers yanked on the bell pull and waited for someone down in the crowded lab to hear them. Two of them stood on either side of the doctor, holding his ragged form up; despite the cold, he was still sweating and his face had reddened. The lock rattled, and the door swung open, and at once Littlefield came face-to-face with his bedraggled employer. It was 10:30 on a Friday night. What was a largely solitary workplace in daylight was now a crime scene, and officers and officials swarmed around the most ordinary objects, scrutinizing them. Near the entrance to the lecture hall, one was eyeing a coat hanging on a hook. None of the keys worked on the privy door — “Force the door!” the yell went up — so a hatchet promptly smashed off the lock, while more men flooded over into a chemical supply room. Webster, helped over to watch from the hallway, protested — if they weren’t careful while moving about, they would break delicate labware and do great mischief to the premises. He was half-carried down to the lower laboratory, where Littlefield had been telling the officers everything, and with each step down the stairs, the professor’s agitation grew. An officer, peering into a lab furnace, noted something inside — something in the ashes. Teeth? Then a melted chunk of gold glinted in the lantern light and, near it, the outline of a lower jaw. Chips of calcined bone were fused with the remnants of coal. “Don’t disturb the bones,” the coroner said sharply. Webster, who had barely managed to sit up in his chair, began convulsing and losing his balance; the officers steadied him, and he fumbled a glass of water over himself. As the professor watched, a plank was gently carried up into the laboratory. Arrayed on top of it were glistening chunks of human flesh: a right calf, a right thigh, and a pelvis. They were set down in front of Webster, just out of his reach, and the officers watched him, waiting for the confession. Instead, Webster writhed for some 15 minutes in silent agony. Tears were now streaming down his face, but not a word passed his lips. Shall I take him away? a jailer finally asked. The officers hoisted Webster up and dragged him out into the night, and one by one the other officers and officials left. They’d return to investigate further in the morning. Officer Starkweather was left to guard the rooms, and he set about preparing for a long night. He moved the grisly pile of body parts into the privy, where they couldn’t be tampered with. Since the lock lay smashed on the floor, he drove a nail halfway into the door frame so that it couldn’t be opened. Then he grabbed a pair of pants that were hanging on a nail — J. W. Webster, read a label inside them — evidence, perhaps, but also the softest thing in the room. Starkweather folded the pants into the semblance of a pillow. He’d sleep tonight in a murder scene, his head resting gently upon a murderer’s pantaloons. Paul Collins is the author of nine nonfiction books and chair of the English department at Portland State University. He will read from “Blood & Ivy” on July 26 at 7 p.m. at Porter Square Books in Cambridge. 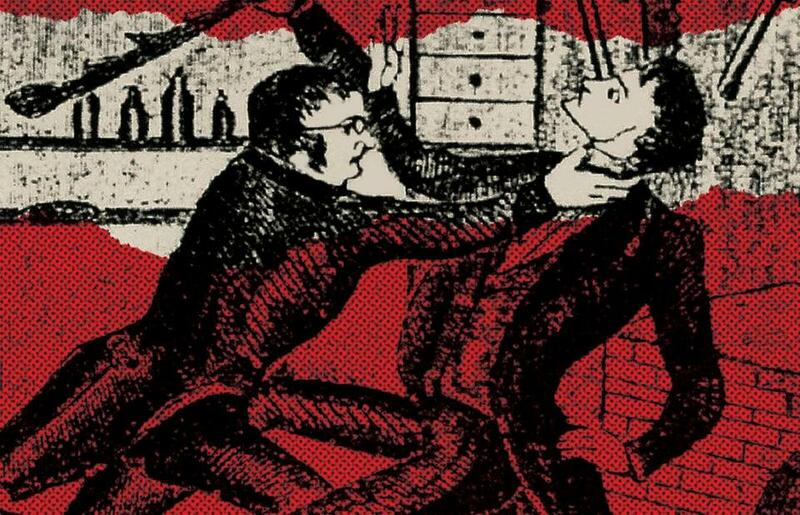 Excerpted from “Blood & Ivy: The 1849 Murder That Scandalized Harvard,” by Paul Collins. © 2018 by Paul Collins. Used with permission of the publisher, W. W. Norton & Company, Inc. All rights reserved.